Now that the second preview build of the Technical Preview of Windows 10 is out, I decided the time was right to share some of my initial thoughts on this early preview for Windows 10. First of all, it’s important to understand that, for casual computer use, I was very happy using Windows 8.1 on my Surface Pro 2, both on the touch screen and when plugged into a monitor, keyboard and mouse. I didn’t just “put up with Windows 8” like many folk seem to. I embraced it and it changed the way I used a computer. Simplicity is something I am always striving for. For example, I don’t have any icons on my desktop and I only pin the minimal amount of apps to my taskbar. The majority of the apps I used at home were ‘modern’ full screen apps. This means that I could have Xbox Music playing in the background with no icon in the task bar or any other visible UI unless I have it snapped to the screen. I understand that for some users this was mind-blowingly hard to understand, but I liked the simplicity. With Windows 10, performing a task, like listening to music, means that there is an icon in the task bar. This is better for the majority of users, but for me it takes some getting used to. The first two builds of the Technical Preview have been focused squarely on the experience in the enterprise, and specifically, use with a keyboard and mouse inside of the desktop environment. Here are where things really shine in Windows 10. Unlike the way I was using full screen Windows 8 apps at home, I use multiple screens and desktop applications when I’m at work. Three screens means I can multi-task between development applications like Visual Studio, SQL Management Studio and PowerShell at the same time, but I still have to minimize and swap windows around when switching to communication and note taking applications like OneNote and Outlook. Windows 10 includes some fantastic virtual desktop features which help around this, and I’m really looking forward to running Windows 10 at work. I could use the Task View to switch between these two logical tasks rather than minimising multiple windows. Unfortunately the Windows team couldn’t get everything done in time for the first preview. The biggest things that are missing for me are around using the touch screen, and modern apps in full screen. The good news is that we do know that future builds will include features like Continuum, that are specifically designed for hybrid computers like the Surface. With two builds already, it seems that the velocity is pretty fast. I’m looking forward to getting my hands on new features. Windows 10 is shaping up to be one of the most important versions of Windows ever – in terms of both the features and the speedy development process. The fact that I love Jetstream ink would be no surprise for anyone that has spoken to me about pens. However, these days I use a lot less ink than I used to. This year, I have only used pencil in my notebooks, and it has almost always been the same 0.5 B lead that I use in both of my daily-use Kuru Toga pencils. I do still use ink sometimes though, and this is where the lovely new Jetstream Prime comes in. It’s a multi-pen with serious style that is made out of some fantastic materials. The three refills that come with it are black, blue and red – with the ability for you to change it into other types, should you desire. There are both 0.5 and 0.7 options. Personally, I never write with blue ink, which is why I usually tend to avoid carrying them. Therefore, I cannot really say how good the blue ink is, but with the other two, it is exactly as expected and it is the same high quality that I’ve come to know from the Mitsubishi Pencil Company. The pen itself has a very nice metal body, with a matte finish on top. The version I have has a chrome-detailed end, though there are a number of other versions. I’m really not a fan of the fake jewel in the end though. It’s certainly not as bad as I thought it would be – but I feel that I would have preferred the design without it. Talking of other versions, they also make one that includes a pencil. However this one is thicker and includes the pencil as a fourth option. I haven’t tried it out so I can’t say how good it is. As is always the case with these multi-pens, they’re never quite perfect for what I’m after. The body of this design is very nice, but the useless (for me) blue ink is something that I’ll never use. Yes, I could replace it with another 0.7 of either the red or the black, but I don’t think I’m going to invest in that at this time. I would have liked to see the slimmer three pen version come with a pencil, which would essentially give me the same setup that I have with my StyleFit, but with a nicer body. Sometimes technology fails at a bad time, and in my case – my Lumia 920 died when there are no true flagship Lumia phones on the market. I decided to get the exceptionally good value Lumia 630 phone without contract and I’m now using it as my main phone. There are a number of things I miss from my Lumia 920 – the high resolution screen, the dedicated camera button, the automatic brightness adjustment and lots more. But where the Lumia 630 excels is in everyday use. The core experiences of the Windows phone are exactly the same on this cheap device when compared to my old higher-powered device. This is a testament to how well the Windows Phone 8.1 operating system performs on the limited hardware. Very impressive really. I’m also impressed with the battery life and the overall size, weight, and simplicity of the design. It’s a great little phone and will serve as my backup device as soon as I get another flagship device. 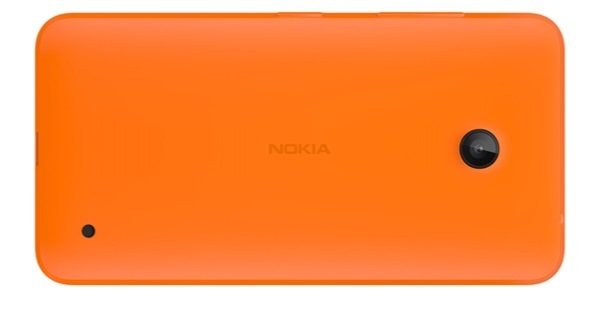 Fingers crossed that a Lumia 1030 isn’t too far away.